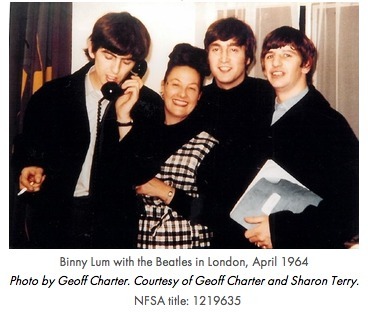 Beatles fans are today able to hear, for the first time ever, the unedited version of an interview that John, George and Ringo gave to Melbourne radio personality Binny Lum ahead of their Australian tour in April, 1964. The National Film and Sound Archive of Australia (NFSA) has just published the 16-minute conversation to mark the 50th anniversary of the Beatles’ Australian tour on 11 June. Edited versions have been broadcast and included on special discs over the years, but the interview in full has never previously been released. The interview and a full transcript is now available on the NFSA’s SoundCloud channel. You can read the NFSA’s official press release here. This entry was posted in Beatles, Beatles Music and tagged 1964, Australia, Australian Tour, Beatles, Music by beatlesblogger. Bookmark the permalink.